That’s the question customers around the country asked when news broke that Mercedes-Benz Stadium in Atlanta would have a Chick-fil-A outpost. It’s a reasonable question to ask, after all, because most professional football games are played on Sundays. What customers and fans might not realize, though, is that they’ll have plenty of other opportunities to enjoy their favorite meal. “We’re open for about 100 events a year that happen right here at the stadium,” says Jonathan Hollis, franchise Operator of the Chick-fil-A at Mercedes-Benz Stadium. “We have Atlanta United soccer games, concerts, college football games, high school football games, band competitions and more. As a matter of fact, Hollis and his team serve so many guests during each event that they begin preparing nearly four hours before stadium doors open. 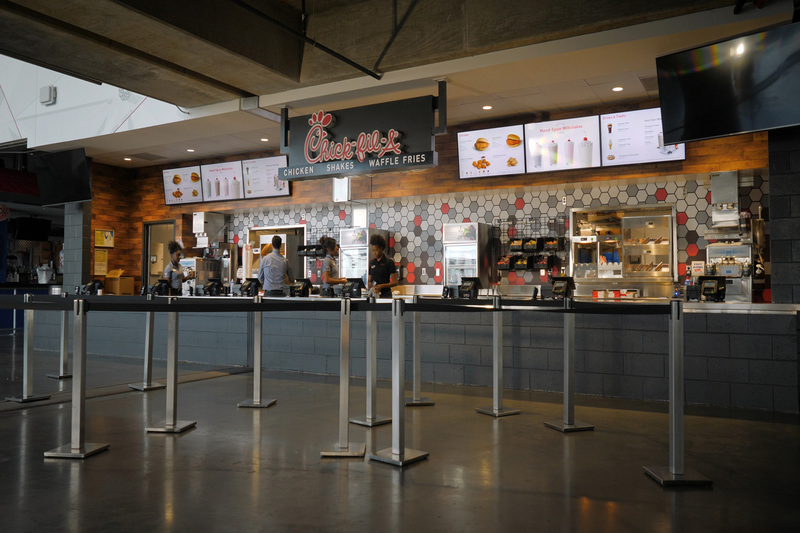 For Hollis, having the chance to run a Chick-fil-A restaurant in a venue like Mercedes-Benz Stadium not only gives him an opportunity to serve customers, but to also be a part of their event experience. Watch the video below to hear more from Hollis about serving Chick-fil-A at one of the country’s most premiere venues.